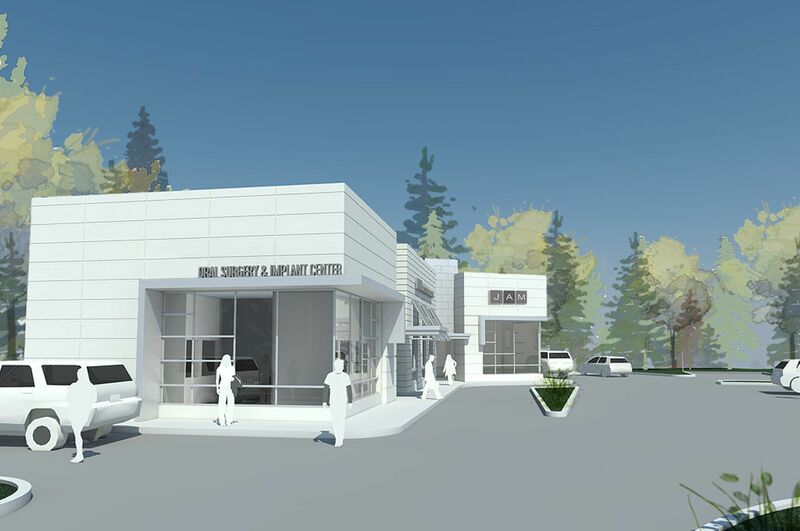 Dental Office - SMOOK Architecture & Urban Design, Inc. 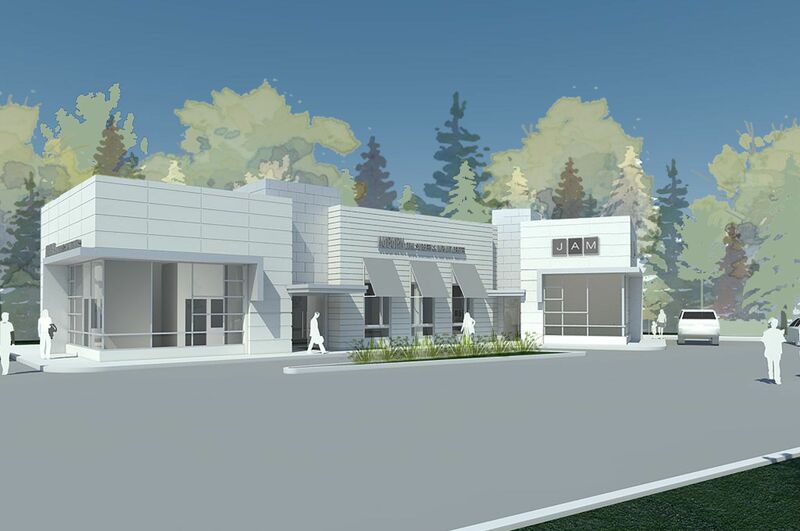 This 4,000 SF dental clinic and adjacent retail with designed for an Oral Surgeon who wished to create a strong image for his state-of-the-art practice. The building is actually fairly simple, a one-story wood framed box. But the site was very tight given the parking requirements for the use, so careful siting of the building was key. 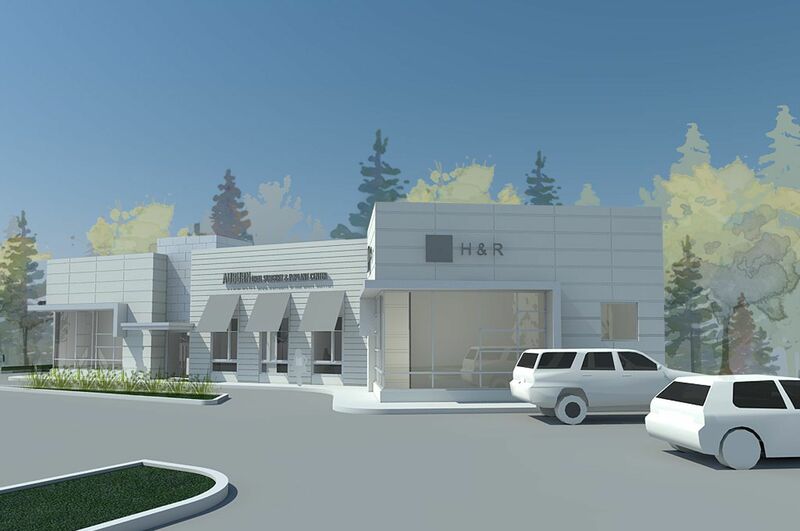 The layout with the Doctors Office on the front of the site and a flexible retail space is located to the rear (offering various tenanting options) was designed with a contemporary flair. Various types of cement siding were used and punched with oversized storefronts. The graphics package of signage and awning rounded out the project by adding color and whimsy.